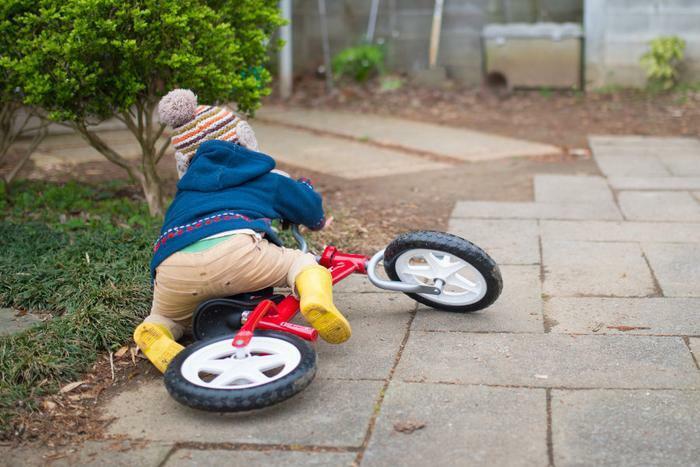 Play is a huge part of childhood -- but unfortunately, so are playtime-related tumbles and falls. Scraped knees and bruised shins are often just a part of life for an active kid, but some accidents can result in more serious injuries. Falls from windows send more than 5,000 children to hospital emergency departments each year, according to a 10-year study published in the journal Pediatrics. These types of falls can result in concussions, fractures, bleeding or even death. Parents and caretakers may not be able to prevent all falls, but there are a few ways to make things a little safer for kids, says Emmy Sasala, a health educator with the Pediatric Trauma and Injury Prevention Program at Penn State Children’s Hospital. While children under 5 are the most likely to fall from windows, older children and even teenagers have ended up in the ER with window-related injuries. Move furniture. Many kids tracked in the Pediatrics study fell through a window they accessed by climbing onto furniture. To help keep kids safe, remove furniture and nearby items that could be used as a platform. Use window guards. Consider installing window guards or stops that prevent windows from opening more than four inches. Keep windows locked. Always keep windows locked when they are closed. A strong child may be able to push up a closed window, Sasala noted. Also know that a window screen cannot prevent a fall. Stairs can pose a fall risk to children age 3 and younger, but baby gates can help keep children safe around stairs, says Sasala. She recommends installing hardware-mounted baby gates at the top of stairs, and at the bottom as well, if possible. Sasala says she prefers hardware-mounted gates because they can’t be pushed open as easily as pressure-mounted gates. Beds can also present a fall risk to kids age 3 and younger. Parents should never allow children to use the bed as a trampoline. Infants should never be placed on an adult bed to sleep. If an infant is placed on a bed when awake, they should never be left unattended. School-age children can, and do, fall from playground equipment. To help absorb the shock and force of a fall, Sasala recommends making sure the playground equipment sits atop a surface such as wood chips, rubber, synthetic turf or pea gravel. Additionally, make sure all playground equipment is a good fit for your child’s ability level.